Cathryn: Hello, and welcome to today’s webinar, How To Get Started with Continuous Performance Management. If you don’t know CIPHR, we’re a leading UK developer of HR recruitment and learning software that helps organizations to attract, engage, and retain their workforces more effectively. Our solutions cover the entire employee life cycle from attraction and recruitment through to engagement, development, management, reward, and retention. If you’d like to find out more about CIPHR Solutions, you can opt-in to hear from us by the survey at the end of the webinar or email us using the address on your screen now. We’re pleased to be joined today by experts from Head Light which is one of our CIPHR Connect partners. Their talent management software helps organizations have better conversations with employees about performance. My name is Cathryn Newbury, and I’m CIPHR’s Content Marketing Editor. With me today are Ian Lee-Emery, CEO and Founder of Head Lights, and Debbie Hunts, Head Lights Head of Business Psychology. Welcome Ian and Debbie, it’s great to have you with us today. Cathryn: Here’s the agenda for today. This webinar should last around 45 minutes, with around 30 minutes from us and then time at the end to answer your questions. If you have any questions, comments, or queries, send them into us at any time using the box on your screen, and we’ll answer them as best we can. If you miss anything or have to leave the broadcast early, don’t worry. Everyone who is registered will receive a link shortly after this broadcast ends to an on-demand version that you can watch at any time, or share with your colleagues if you think they’ll be interested. We’re going to kick off today’s webinar with a quick poll to find out what performance management means to you. Check all of the options that apply on your screen. Do you regard it as annual, or ongoing, HR-centric, line manager-centric, or employee-centric? Ian, do you have a view of what our audience might be regarding performance management as at the moment? Ian: I think there are… for most companies they’re on a bit of a journey. So for some, they’ll be still annual, very line manager orientated. For some others, they would have made the leap and have moved to ongoing and employee-centric. So I expect a bit of a spread across all of these with maybe a larger group around annual and HR-centric, but we’ll see I guess. Cathryn: Okay. Thanks, Ian, for that insight. I’m just gonna share the results on your screen now. So we have 30% of people regarding it as annual but 18% checking as ongoing, which is really nice to see. And a nice even split between line manager-centric and employee-centric. Ian, what do you make of those results? Ian: I think it’s really encouraging to see the ongoing element being part of this. It’ll be interesting to understand what is meant by ongoing by a lot of the folks who registered that. But again, you know, we’re seeing also a split here between line manager-centric and employee-centric. And, you know, the answer’s gonna I guess be somewhere in the middle. I’m pleased to see that it’s not considered to be too much of an HR-centric activity. That’s very encouraging. Cathryn: Yeah, fantastic. Thank you. So I’m just gonna hand it over to Ian now to give him control of the slides. And he’s gonna take you through what actually we mean by continuous performance management. Take it away. Ian: Yeah, welcome everyone and thank you for your time today. Thank you, Cathryn. So what I’d like to do is just talk a little bit around what’s going on with performance management. What I’m not going to do is beat up on an old idea about things being broken. We know things are broken. It’s very clear that things haven’t been as the way they should be with performance management. But let’s just talk about what has been more recent thinking about it. So I mean part of it is the annual word, and that brings into the idea of well, whose year is it anyway? You know, typically performance and management approaches have been the calendar year, or in the UK tend to be the financial tax year. This is pretty meaningless to an employee, you know, especially if you joined halfway through the year, or you change role, then really that year benchmark, that year measure really isn’t very useful to you. You know, we’ll talk about consumerization of talent and how employees expect things to be a little bit more personalized there. And I think one of the elements to that is actually a year in performance for that particular individual rather than an arbitrary tax year. HR has found a friend in finance, you know, maybe it’s not looked for friends in sales or marketing or other parts of the organization. And I think with friends in finance, that tends to lead to calendars and tax years. And in many, many respects, maybe HR has been quite influenced by that partnership. The other element to this is around ratings. There are many in this industry who will talk about and try and persuade you that actually, ratings are the root of all evil. You know, we’re not sure that’s actually the case. It’s often the means by which a rating has come about that’s the problem. You know, you take that and you combine that with the concept of annual, and therein lies the real problem. When you are given a rating at the end of the year to which you’ve had very little part or contribution, this is really the root of why most performance appraisal approaches haven’t been successful. So I think to say ratings are the problem is to miss the fact that it’s probably not the cause of the problem. But ratings get sucked up into the mix of why things may not be working. You know, for some organizations where they’ve had to abandon ratings and, you know, if we go back sort of what has changed, well back in 2014-2015, Adobe were talking about getting rid of the annual performance review, as were Accenture, Deloitte, GE, and so many others. But for a lot of them, what they’ve really had to do is to really get away from this concept of calibration, which really does cause the problem. So when you’re given a rating and you’re given a C, and it’s given to you at the end of the year but it’s very, very meaningless to you. And largely it’s driven because your managers has had to calibrate it because they haven’t been allowed to give anymore B’s in the team, that tends to drive an awful lot of the problem. So in organizations that have been very ratings centric or ratings obsessed, maybe those that do paid performance based on billable hours, really the only way out for them is to abandon ratings completely and very publicly. So what we’re really doing is we’re talking about kind of conversations. And conversations is a theme that we hear a lot around. It’s one of the reasons we architect a lot of what we do around driving those conversations. And I will come on to that. The industry also talks around agile performance management, it talks around continuous performance management and [inaudible 00:06:53] and also talks around conversational performance management. I’m not gonna get particularly hung up on the semantics of those but in essence, they are slightly interchangeable phrases and expressions. And it really, it means that we’re having more continual conversations on a much more regular and relevant basis. So I think where we’re trying to help organizations move to, and where organizations are trying to move to, is this transition. And while we think about this move, let’s think about some kind of hard truths here. Let’s think about a particular question. So what are the behaviors that we can observe in an organization that surround current performance practices? I’m sure we can identify plenty of undesirable behaviors around performance management practices, and possibly we can identify where they might come from. But similarly, we’ll also be able to identify some very positive performance management practices. The water-cooler conversation, people who naturally do check-ins, managers who are very approachable, and so on. But I think if we are to help create a groundswell for change to do something, then…and to change behaviors and to embark upon an OD or into a project to try and change things, then what we need to be able to do is to express this change not necessarily in just behaviors of select individuals. But really describe how better performance management could contribute value to an organization in a non HR language way. And this comes down to a little bit around how we position it and how we choose to influence parts of the organizations whose support we’re going to need if we’re going to help make this change. And I think the final point, which I kind of alluded to surrounding the poll, was really around resilience. Not necessarily personal resilience, though I think that’s part of it, but actually resilience in order to be able to see a change through along a journey from a particular starting point, through a point of change where there’s natural resistance. Maybe there are some missteps and so on. So as we think about moving into the future, asking some of these harder questions around desirable undesirable behaviors and how we might communicate things, and are we willing to go the term in terms of a more of a longer-term sustained change program, are gonna be good things to equip us in the future. So while we reflect on that, perhaps just a little bit about who we are. So we are a technology and consulting provider in the talent management space, performance management, and continuous agile. Conversational performance management is one of the things that we do, and we help our customers drive and develop. And you can see as a business we talk about occupational psychology, and HR, and SaaS and digital and all of these types of things as well. And I’ll come on to the role of ISO 27001 a little later, but this is really what we provide. And our early roots have really been all around driving conversations. So much of what we do in terms of our software, our training, and our consulting programs, are all around stimulating and driving a development agenda, helping organizations become better coaches, drive coaching conversations, increasing self-awareness with techniques like 360, and drive development agendas, and GAP analysis and understanding. Where you might feature in a particular succession or promotions context. So everything we really do is all about opening up those conversations. And one of the things we challenge ourselves with in our work in software and our work with customers is when the conversation comes around a rating, we always challenge ourselves and those that we’re with to say are we driving a conversation by including this rating or are we quite simply driving a rating? So, you know, we’re not specifically wedded to or not to have ratings because we see the value they can contribute if they’re done right. But we certainly wouldn’t be an organization that says you have to abandon ratings altogether in order to conduct any form of agile or continuous performance management. 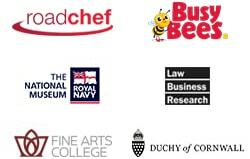 And just finally, just a selection of some of the organizations that we work with, both large and small, who use a whole wide variety of the different products and services that we have from 360 to succession and performance management and so on. So that’s a little bit about who we are and really our orientation. And we very much, as you see, come from a feedback, and an awareness and a conversation perspective. So agile performance management. And I think a really interesting part of this discussion is is this really anything new? And do we really need any technology in order to do this? You know, there are plenty of examples of managers who’ve always had regular check-ins. We can all think of a great manager where they’re always open, always able to talk with us. They naturally took a coaching orientation towards things. But for others there are… so for those individuals, this is business as usual. What’s all the fuss about might be their perspective. You know, but for others where they’ve avoided the conversation because perhaps they lack the confidence to do it, or they avoided having a difficult conversation because they were slightly concerned about consequences of that whether they were doing it properly. And for those individuals that have relied on the concept of cascading or having objectives cascaded to their people because it provides a kind of a crutch for them to anchor things around, well this is gonna be a little different. And you know, some folks will welcome this with open arms, and some just actually won’t. And part of one of the things that I want to help you with your thinking is we now need to start thinking about segmenting our groups of employees. Segmenting the people who are interested in doing this and those who are not. And I’m trying to understand the motivations of different types of employees. We should be borrowing from our friends in marketing around this concept. We’ve talked long around the concept of talent consumerization and how we should be treating our talent as consumers. And that’s often very much taking a marketing approach, understanding the different groups of employees, understanding their motivations and drivers, and understanding how we might influence them. Not from a cynical perspective but how we might meet their needs. And we’ll come on to this in a little later. Cathryn, back to you. Cathryn: Okay, thanks, Ian. So one of the things that we wanted to ask was where are you in your continuous performance management journey? Are you using forms, having conversations, or are you somewhere in between that? So select the relevant option just one this time using the poll on your screen. Ian, where do you think many of the people that are listening in today will be falling on this one? Ian: Yeah, I think based on the results of the previous poll, it talked about ongoing and some elements of being employee-led. You know, I’d like to see more talk around conversations. You know, they’ve made that move and fewer people talking about forms. There’ll always be some folks who are somewhere in between but that’s probably what I would expect to see. Cathryn: Okay, thanks for that insight. I’m just gonna close the poll now and share the results on your screen. So actually, we see that two-thirds of you tuning in today fall somewhere in between rather than opting for forms or conversations. So not exactly what you were thinking might be the case, Ian. Ian: No, you’re absolutely right. But that means that I should not be relied on for anything to do with like horse racing or betting or any other kind of predictions basically, which is fine. So somewhere in between I think is probably the reality of most. It’ll be interesting to know and to understand those different elements of what in between is. So if people are you know, making this kind of transition sort of where are they were from a slightly more granular perspective. But okay. Great, thank you. Cathryn: Okay, thanks very much. Back over to you for the rest of the presentation. Ian: Okay, so the poll. Okay, well, it’s only appropriate I show this slide. So that’s not me obviously. So what is she thinking? Well, you know, if we are embarking on a change journey and we’ve done some things, this is the slide to avoid, you know. Maybe she’s thinking six months in and no one is using the new system, if that’s the way they went. Or maybe she’s thinking you know what? Absolutely nothing has changed, what a waste of time and money. Or maybe she’s thinking the bad managers are still bad managers. So I offer that not to be too disappointing but really, to help actually think about outcomes. So while this is quite depressing, if we reverse everything I’ve just said and have that as an outcome, then they’re both very desirable outcomes. But what I’ve not done is I’ve not talked about the process. So it’s kind of sticking to outcomes that is the message that’s gonna be running through these next nine haves that I’d like to introduce you to. some practical and possibly slightly controversial ways of thinking about how you might move from still being on forms or move through your journey of somehow being still somewhere in between. Let’s move on and get straight in. So the first one, we’re not gonna talk about leadership from the top. It’s really easy to say, actually rather difficult to do and probably not even right anymore. So what we’re really going to be talking about is leadership from people that matter. You know, today’s leaders do have somewhat of a reputation crisis, either in organizations or generally in the world that we live in. And they’re not really considered to be quite so influential. You know, is there always another reason for them saying or doing what they are saying and doing? So what we really need from leaders isn’t necessarily them to lead us in this respect for this change to a different way of doing performance management and engaging with their employees. Actually what we need from our leadership is a clear vision of some kind of future state. So what we want our managers to be doing. And so examples and storytelling of good manager examples of when they were working for a particular effective manager, people who were mentors, these can be much more persuasive than actually if we do this, make this change to performance management, we’ll be saving everyone half an hour a month or some nonsense like that. What we’re really talking about is how can we use the folks that are in leadership positions, which doesn’t necessarily mean the folks at the top, to help us influence and change people? And to do it on a longer-term basis rather than just a fiscal quarter. So leadership from those people that matter is people who demonstrate leadership across the organization all the time. They’re our influences, they’re the people we need to be demonstrating leadership. Clearly, we need sponsorship from the top, we need buy-in from the folks at the top to spend money or to spend time. But we don’t necessarily look for them to lead to this individually. Involvement inclusion is always a really important part of this. But for this, we’re going to suggest a different twist on this. So again, I’m gonna come back a little bit to marketing, and the degree to which you involve these different groups of people. For some folks, they’re going to be highly resistant and we need a different inclusion and involvement strategy for folks who are where you’re pushing an open door. We still need to engage with resistors because if we don’t then they’ll become our saboteurs later on. But I think the involvement isn’t quite so much just about who and how, because we know who our stakeholder groups are. That we probably need a little bit more work about how we influence them but more about how we involve people. And this can be quite difficult for HR because this area of performance management is HR’s backyard. And so one of the things that HR does for often very good reasons is it tries to create something, maybe it’s a policy, and a process, and a procedure, which has got the same kind of rigor and diligence associated with things like complying with the law. Now for performance management, I’m going to suggest actually what you’re trying to do is you’re trying to change people’s behavior rather than just introduce a set of rules. So really what I’m gonna suggest that HR do is rather than present specific ideas around how performance is going to work, I’m going to suggest that HR facilitate managers and peers to come up with the weird and wonderful crazy ideas around how to do performance management. And then overlay the filter from leadership from people that matter about whether they comply with what we think good performance management is in line with that kind of leadership view. So, you know, you can use hackathons if that’s the kind of terminology that works where you open the floor to all ideas and you have your well connected and well-networked people as part of the process. So you’re involving them not just from a consultation perspective. You’re involving them from a much more of an intellectual creative perspective where HR is focusing on outcomes and letting go of the process. Can be quite difficult for some folks to do but if you want to make this change around people’s behavior, then we need to get them to come up with the right ways of doing that. The next one, effective communication, yeah, it’s all kind of easy to say. This really does come down to making friends with the folks in marketing. So we need to take that leadership vision, we need to take some of those examples and stories, and we need to be thinking about those different segments of our population. The busy manager, the laid-back manager, the aspirational ambitious and you join as a graduate, these different groups of people all look for something different from performance management and what it’s going to contribute to them. We need some simple messaging. And much as I…reluctantly, I was considering an example here. If we just take…and dare I say if we just take Brexit as an example. And for those folks that watched the “Channel Four” dramatization of the vote will recall Dominic Cummings coming up with this strapline which was take back control. Now regardless of your views on Brexit, and regardless of mine, what was important was he wrestled with originally take control. And he knew that didn’t quite work. It was only when it occurred to him from some of the people he was engaging that introducing the word taking back control all of a sudden made it such a hugely powerful message that had legs and a life of its own thereafter. So from a communications perspective, it’s a fantastic piece of coming up with a very, very simple and emotional message that was very, very short. You know, that was a hugely powerful piece of communication. And we can do the same thing with our performance management approach by constructing something very, very simple and something persuasive. And your key influences, who focus the lead from the middle of the group, are the people who can help you do that. Make the little and often quick and easy. So this is where we do touch on the concepts of agile, and conversational, and continuous. So we do want to…you know, if we are going to be using some kind of tool, online tool or an app or something like this, because we want to be able to put the means by which we improve performance management in the hands of people, and they tend to be, you know, sitting in front of computers, or using their phones, or their laptops, then invariably some technology could well be involved. And we want to make it quick and easy and little and often so that we can avoid the whole problem of an annual review because nobody’s done anything on it for 12 months because it’s been too difficult. So we can use some technology to make the little and often quick and easy. But I think one of the things that the industry doesn’t tend to talk about is actually what’s going on with technology in organizations. And right now, IT are fighting a huge proliferation of apps in companies. They’re also fighting data breaches, data security issues, information security, the behavior of people, GDPR, and so on. So I think really what I would say is we shouldn’t lose focus of little and often, quick and easy. But we also need to make sure that we’re not creating unacceptable risk for people, and unacceptable risk for IT. Because they’re pretty powerful individuals especially with a security information security card in their pocket. So ISO 27001, if you don’t know what it is, then it is an information security standard. If your vendor doesn’t have it, ask them why not. And do choose a vendor that does have it because you can then sidestep a lot of the IT problems which will instantly become huge roadblocks for you if you haven’t made that nod to information security about how people communicate with each other around performance and performance management. So we all want to shift this. I was very pleased to see in the poll we had 50% talking around being employee-centric absolutely. We want this not to be an HR project. But clearly, HR finds itself in the driving seat for all of this. You know, it’s kind of interesting. You know, who is knocking on the table of the board to say we need to change performance management? It’s probably not managers, it’s HR doing it. So we’re not getting a push from the manager population to do necessarily agile performance management. We are getting a push from them to say we really don’t wanna do forms-based annual performance management. And you can see it through their arguably passive-aggressive means by which they just refuse to complete forms. So by moving it out of HR into employees and managers really is the way to do that. I’ll come back to the fact that HR does have a view that it needs to kind of get everything perfectly right first time. It needs to construct something which is, you know, out the door absolutely full and complete and feature-rich, and therefore probably won’t be changed. And we need to change that thinking. You know, agile is arguably an IT methodology around sprinting which is around doing something very, very quickly in order to achieve an outcome. And I think what we’re saying here is if you want to shift ownership out of HR, then we need to stop thinking about creating the final product on day one. And start thinking about how can we put something in front of people who are willing to experiment, to pilot, and to try things out and to tear it down. What we’re not doing is guessing at what works, what we are doing is proving what’s the best by getting feedback from stakeholders. So, you know, if your tool doesn’t really allow you to do piloting or to change anything, well, ownership can be a bit of a problem. If the tool, if you choose to use one, does allow you to change configurations and experiment with different features, then this is going to help you shift your ownership into the hands of the people. And you can therefore not take on the kind of policing routes that HR typically have. This is never an easy one really to talk around, around HR skills. There’s two areas really that HR could arguably improve. One is about digital skills and whether your folks in HR are digitally native, digitally comfortable, whether they talk about not being very technical. I’ll come to that in a second. I think nowadays, regardless of whether we’re talking about performance appraisal, although, you know, we need HR folks who are absolutely digital natives, who are fully comfortable with all of the digital technologies that are in front of them. You know, you don’t see anyone in marketing generally speaking saying that they’re not very technical. You know, marketing folks understand segmentation, and CRM systems, and the maths and the data around different segments and populations and so on. They are generally digitally native. If you’re an HR person and you feel uncomfortable with technology, this is a career threat and a career opportunity for you. If you’re a leader of an HR team and some of your folks aren’t digitally native, then I think this is probably an opportunity for you to tackle that. I have to say if you’re not digitally native in this world that we live in, I think it’s really tough to think about survival. Enough on that digitally native. The other one is to what degree your HR folk are comfortable with asking managers to be coaches, which is kind of the migration which is going on. And if we want more conversations then effectively, those conversations are probably more around coaching conversations rather than judgment conversations. So if your HR folks are going to be engaging with managers to help them change their behavior, then part of that is to what degree are your HR folks comfortable being coaches and taking on that kind of coaching role? So there are also kind of moving parts in all of this, and one of them is to what degree HR are ready for all of this as opposed to just expecting other managers or managers to get on with it. So again, it’s always a difficult message around have we got the right skills in our team. But I serve you no well by ignoring it. So we’re now getting on towards the close. So we’ve talked a little bit about policies and I’ve kind of talked a little bit around HR’s habit, if you like, of constructing fully-blown policies with all of the things ticked, and finalized, and signed off and approved and so on. What I’m gonna say now is don’t update your current policies because often if your starting point is…if where you are right now is not really where you want to be, then I could probably argue that updating your current policy is probably not the right starting point. Again, too often we see policies that are constructed often have a bit of a bias towards actually stopping the naughty boys and girls in the organization who tend to be the massive minority of employees. So what we do is we write policies which are all about helping catch the people who play games and we end up treating everyone like that. You know, things like values, culture, and innovation suffer when we put into too many rules. So don’t update your current policies, abandon them. Do the difficult thing, walk into the room with a blank sheet of paper and write the first word. Always more difficult to do that. But to say this is what performance management is going to be. If you can, avoid or don’t let HR folk go on to the online communities and say can we have your policy or your description of your continuous performance management, please? Ask people to actually come up with themselves from a blank page. Always more difficult. But if it’s genuine and it’s authentic and it’s linked to the leadership values that were espoused at the beginning, and you’ve got input from other people, and your stakeholder groups and you’ve understood you’re influencing strategy and your language, then actually while writing the first word might be the most difficult, writing the rest of it is gonna be so much easier. I mean, the second thing we also have around policies is often there are heavily coupled with lots of other activities around pay and reward, performance improvement plans, exits, disciplinaries, and so on. I would say if we are genuine around continuous and conversation, agile performance management, decouple everything which is nothing to do with that but couple things that are. So an example around decoupling. Clearly, we should not be using 360 generally speaking for pay and reward. We’ve heard people do this before, we’ve seen people do it before. Typically there are tiers. We would always advocate not doing that. We have walked away from customers who have insisted that’s what they wanted to do, and we’ve politely declined. So decouple paper performance and 360-degree feedback typically as an example. But make very strong links with things like the career conversation. If you are prompting career conversations in your organization, couple that with talent mobility and succession planning. Why on earth wouldn’t we do that? So if you’re not currently doing that in succession planning, talent mobility, career conversations, can we sit in a different place, bring them together? We believe the flip side of succession planning is career planning. That’s the career conversation, let’s link them together. There’s no loaded gun here with those two elements, they belong together. Okay, so nearly at the end now. So we’ve talked about HR skills. Clearly, the moving part in here is around manager skills and whether they have the ability and the confidence to have the kind of conversations that you really want them to have and help them move. They’ll need to be led by example, they will have biases. We all do. We have some resources around helping understand biases and mitigating them. Part of the reasons ratings are accused of not working and don’t work in many occasions are rate of bias. Just because people have biases doesn’t mean they can’t overcome them and understand them and move away from them. So manager skills depends a little bit on what you’re now asking them to do from a feedback or coaching perspective. But enhancing manager skills around being that coach for that employee and being more engaging as a manager, are always things which are gonna be part of the mix. And I think finally how do we know it’s working? Now there’s a slight issue here around HR has been often obsessed, interested, mildly concerned around things like completion rates for forms. That’s measuring a process. Actually, it’s kind of measuring the wrong outcome of a process. So we don’t want to necessarily talk around auditing the process again or what’s going on in the process. But if HR is trying to create the conditions whereby agile or continuous performance management is welcomed, people are equipped to do it, and it becomes legitimate and rewarded, then we do need to understand where it is working, where those conditions are right, and where they’re not right. So, you know, some organizations talk about yeah, let’s just do another survey, let’s just do a poll survey. Yes, of course, you can do that. But if you did use a tool around performance management then that should give you some pretty strong clues. And if it doesn’t, I’d ask the vendor why not. So, for example, you should be able to find out in an instant how many people have used the system if that’s what you’re using in the last 30 days. You should also know how many people or what percentage in any particular area have had check-ins in the last month. And maybe you’d want to know if you are using cascading objectives what percentage of people are in a particular team have actually got their own objectives aligned with that. What these things are showing is yes, there’s an element of process but there’s also an element of participation going on here around performance management and doing things differently. You know, we’re not saying we’ve got 60% completion rate on a form, or we’ve got 80% ratings on people. What we’re saying is, you know, are we seeing the kind of activity that we would like to see which suggests we’ve either got the conditions right in some areas or that some managers might need some more help or support or intervention to help them with it? So there are some nine must-haves. I think the other way of looking at this, which is always a little bit more challenging but is often a much more interesting marker as to whether we’ve got this right, is to say are we actually doing things from more of a business orientation? Are we still outcome focused? Which was one of the points that I started with in the beginning. Are we seeing retention being solved in certain areas? Are we seeing, you know, if we do run engagement surveys, and I’m not going to argue necessary one way or the other for them. But if we are doing engagement surveys and we are taking the pulse of people from an engagement perspective, are we seeing better responses from them around how their manager is? Or the career conversations or their perceptions around career development now? Because that would be a good indication of career conversations happening if that’s what you are encouraging people to do. Similarly, around 360, when we look at 360s after the fact, after a while are we seeing things where generally speaking less lumps and bumps, less hard edges on individuals and more rounded approach from people, more rounded feedback given to individuals because there’s been some development going on to either address gaps and to develop strengths? And I think finally around succession planning, which I touched on a little bit more, the truth in succession plans are, are we actually pushing forward the people we thought we should push forward? So that means a lot of things. That means that we understand their career aspirations, their career conversations happen. It means maybe we’ve got a better view on their potential which means maybe we’ve dealt with some things around rater bias. We’ve got a better view on their current level of performance whether that being rated or unrated. And maybe we have a better view as to their strengths and weakness and development areas. So if our succession planning are yielding the people we would expect, then we know that some of our cultural markers are being developed in the way that we’d like to see them. Okay, Cathryn, back to you. Cathryn: Thank you, Ian, for that really fascinating and comprehensive presentation. And I’m sure there were loads of things that our audience can take away from that. We just have a few minutes now to take questions from you guys out there. So if you have any questions please send them in using the chat box on your screen and Ian and Debbie will do their best to help. The first question I’d like to post to you guys is how do you know if continuous performance management is right for your organization? I know we talked a bit around cultural markers and rewriting policies and stuff. But are there any kind of signals that we can use to gauge whether this is the right call? Debbie: Sure, I think that by talking to employees, you know, you’ll get a sense of whether it’s right for you or not from people saying actually what we’re doing at the moment isn’t working, it’s frustrating, it’s a waste of time. So getting that feedback, and you might be getting that through engagement surveys, again, if you do them, or just in conversation with your business leads and managers. So I think getting that sense of what’s going on and how people feel about the current approach, that will give you a good sense of whether you’re ready or not. I think all the stuff around digital readiness is important. So if you’ve got some, you know, if people aren’t relatively comfortable using those sorts of systems and, you know, they’re app friendly, then I think that would be another marker for knowing that you are ready or you can make that move. Ian: Yeah, I think I’d probably add to that, a simple marker which is around the career conversations. So you can tell that continuous performance management is required if people are disappointed with their career opportunities, or their opportunity to talk about career growth and development. So if we’re getting that kind of feedback which says career growth and career development isn’t here or I’m not having career conversations, that would suggest to me that enough conversations, whatever they may, are questionably not happening. And so this organization has a real improvement opportunity by introducing maybe a career-led approach to continuous performance management, or a developmental-led approach to continuous performance management. It’s not about ratings at that point, it’s around actually the career conversations not happening, so introducing something along those lines clearly seems to be a requirement and a need. Cathryn: Sure. Absolutely, thank you for answering that question. We’ve had a small flood of questions come in for you, which is great news. So just to signal that although this webinar was due to last only 45 minutes, we will do our best to answer your questions up to a maximum of an hour. And we have a question from Nicole which came in earlier in the broadcast. She’s asking how do you capture feedback, feedback from clients and colleagues, to demonstrate whether someone is ready for promotion? Debbie: So we’ve seen an increasing number of our clients using 360 to capture this sort of feedback. So when you’re looking at 360 to talk about somebody’s readiness for promotion and their potential, you are taking away that old reliance on a potentially full of bias relationship between the person and their manager. And the manager’s perception is in there because they will be looking for different things. Ian: Yeah, I’d like to add to that, that part of what we do and in terms of systems and tools, is we provide people with and encourage them to use the ability to get feedback from other people. So they can get feedback from other people as to how they’re doing with their development activities. So if they were setting themselves a development task around communicating better or collaboration, they can solicit feedback from anyone around their development activities. Similarly around their objectives, if they have a particular objective they’re trying to achieve on a particular project, and maybe that’s a client project, then getting feedback from that client, again, is something we positively encourage people to do. The reason that we do that is so that when the conversation happens between the employee and the manager, if there is feedback from those other people, it enables a much richer conversation. I think the request in Nicole’s question also talked around whether it’s around promotion. That’s probably a slightly separate discussion around whether you would really delegate a promotion decision to a customer. But I think the purpose of getting some feedback around the individual’s performance is certainly a really useful addition to a performance and a promotion based conversation. Debbie: I was gonna add, there’s something else in there about looking at the right criteria. So maybe getting just feedback on somebody’s current job requirements and the role that they’re doing at the moment may be insufficient to gather feedback and information on whether somebody’s ready for the next role up. So using a competency framework, or a 360, or a performance management framework that allows you to look forward to the requirements for a future role and to allow people to maybe step and act in that role and to try things out, I think you need to be looking at a different set of criteria if you’re gathering feedback on how ready somebody is to move. Cathryn: Okay. Thank you very much, Nicole, I hope that answers your question. We’ve had some other questions coming related to 360 processes, so I’m just gonna cover those off at the same time. We had one from Tom who asks what is a better quality rounded 360 feedback look like in practice? I feel like we’ve kind of touched on that but was there anything else you wanted to add on that topic? Ian: Yeah, just on that, so when you look at… and we’ve seen plenty of feedback responses. When you look at individuals sometimes they have… sometimes they have very obvious blind spots, or they have some differences in perception. So maybe how they manage upwards versus how they manage downwards or sideways. Or maybe from a skills perspective, they might demonstrate three very strong skills and one very weak one. So I think when we’re talking about being more rounded, I think what we’re really talking about is a more even set of perceptions around someone’s skills generally speaking. And then we’re seeing a more consistent perception of an individual maybe around some behavior. So we’re not seeing, you know, a great strength in managing upwards versus managing downwards, because that’s not necessarily great behavior. So I think that’s what I mean by something slightly more rounded and more even. It’s around knocking out some of those blind spots and building up some of those weaknesses maybe. Cathryn: Okay, thank you, Ian. Hopefully that covers your question. And we’ve had another related one which is a really good one from Inger. She says in terms of a 360-degree process in an SME, how can we encourage honest feedback and a culture where employees feel comfortable being honest about their peers? And then there’s obviously a lot about the communication, the way that it is sold internally, the way that people are told about their role. How they are invited to give feedback, are they invited by the individual who wants that feedback from them? Are there minimum numbers in different categories? So there’s stuff around the communication, stuff about the way you set it up. And then obviously a great amount of stuff that needs to happen after you get that feedback. So people need to be confident that they can provide feedback openly and that there won’t be any negative repercussions afterwards. So I think there’s a lot about the management of the relationship there that could take place as well. Ian: To add to that, this comes down to a little bit about trust in my opinion. I think if we could have a situation where everyone could give 100% unsolicited feedback honestly without fear of punishment or retribution, that’ll be a great place for us all to be in. I don’t think that’s the case for many in organizations. So the relationship between employee and manager and providing upward feedback, or I think as an example peer feedback, still has some connotations around it. So I think part of that is a journey of understanding that if you do provide feedback, that there are no negative consequences. You know, providing feedback is constructive, not mitigations and all that kind of thing. But providing the feedback is given in an open and honest spirit to help an individual lay the ground rules, and if there are no consequences from having given direct and robust feedback, then that starts the beginning of a culture change around being more feedback friendly as an organization. Which means that when you start reaching out and asking for feedback, and getting unsolicited feedback, you create so much more of a collaborative trusting environment. And it’s a journey like many things for organizations along the kind of idea of trust. Cathryn: Okay, thanks very much. Hopefully, Inger, that answers your question. I have another related one from Sophie here. She asks if you can explain a little bit more about why you think it’s important to separate 360 reviews and performance reviews? Ian: So where performance reviews are used as part of a pay discussion, then clearly if we’re getting feedback in the 360 from direct reports, then that does create a bit of a connection between how much an individual gets paid to the feedback that people over which have control, you know, their opinions. So we should be not including those kind of connections. Three Sixty is a great way of developing insight and developing understanding for your blind spots, whether that’s blind spots that your direct reports think or not. What we can do is exclude or not use feedback from peers and direct reports as part of the behavioral discussion, which often is what 360 is about, but making a direct connection between your direct report gives you three out of five, that means you only get three-fifths of your bonus, is absolutely something that shouldn’t be used. And we shouldn’t be using things like so and so’s got a particular score, a four out of five against this particular skill, and someone else has got a five out of five. We’ll pay the five out of five-person more. We shouldn’t be doing that because we’re getting some opinion data, and we shouldn’t really be using it for those means. It’s probably not the means by which the feedback was asked for. You know, the invitation to provide feedback wasn’t along the lines of how much do you think your boss should be given as a bonus. That wasn’t the question, the question would have been more along the lines of, you know, how effectively does your boss communicate with you about strategic goals or something like that. And nothing to do with you know, how much of the bonus part should your manager get. That wasn’t the question and that’s wasn’t the deal in terms of how the data is going to be used. So sometimes there can be a bit of a misuse of data where we go and gather behavioral questions. And then we get overly excited by all the numbers that we’ve got, and then we start to use that as a way of identifying or informing reward decisions. Not a great place to go, and we would never recommend something like that for those reasons. Cathryn: Okay, thank you very much. We have another question here from Matthew who asks what technologies you need to have in place to support continuous performance management? Ian: I would argue none actually. And as a technology provider, what have I just said? So you don’t need to have technology for conversations, you don’t need technology necessarily for check-ins. You don’t necessarily need any of this technology to do that because, you know, we’ve got a thing around manager’s skills and those types of things. Having said that, what we benefit from technology is having a place where they can be viewed online real-time. Having a place where you can record your conversation and you check-in at what you talked about. You can have a discussion around next steps, you can have an idea of coaching tips and the coaching conversation. You can have a place whereby you can record or make the organization aware of your career aspirations. I’m not just your manager but actually, if you want to work in a different part of the country or see yourself in a different role, you have a place where you can offer that. So that the organization can take account of that as part of its succession planning and workforce management. So in very simple terms, you probably don’t. But clearly, the benefits of having a technology platform to support the process for employee and managers avoids the paper chase. And then the organizational benefits from having these analytics and organizational tools to link up processes that should be linked up like succession planning and so on, that often are not linked up because they can’t because it’s on bits of paper. So a rather circular answer to your very straight forward question. Cathryn: Okay thank you, Ian. Hopefully, that covers the question for you. We’ve had a couple of people asking for specifics about how Head Light software works. And we are rapidly running out of time so not I’m not gonna ask Ian to address those in this broadcast. But at the end of the broadcast, there’ll be a survey question asking if you want to find out more about Head Light and or CIPHR. So just check the option on there and someone from our teams will get back to you to help you understand more about how the technology works. I have a question here from Judith who asks if you have any tips on how to help HR move from relying on a nine blocker data for the talent conversations slash old calibration conversations with managers? Debbie: Sorry, was this a question about the nine-box grid kind of conversation and reliance on that, Cathryn? Cathryn: Yes. I think that’s what Judith means, yeah. Debbie: Okay. So I think, again, it’s back to outcomes. So does a nine-box grid give you the business outcomes that you’re looking for? Is it working in the conversations that you’re having with your managers and your business leaders? And if it isn’t giving you the right outcomes then there’s an argument straight away to be letting go of it. We do see this in use quite a lot, I think it has its uses. But it always relies on a slightly subjective view I find of one of the axes which is the one around potential. So if you are using it and you are relying on that sort of approach, then you need to think about how you are measuring and quantifying the axis which is around potential. So I think, again, it’s back to conversations. Who are the key influencers who’s wedded to this approach? Is it just something that HR have picked up along the way and found it to be the latest thing, and we’re using it and we’re stuck with it as some kind of legacy? Or is it that there are parts of the business that are really finding that data, and that information or process useful, and perhaps break some of those tendencies and reliance on the process? Ian: Just to answer that, I think the nine-box grid has had and in some respects still does have a little bit of a bad reputation. And the reputation often comes from the fact that it’s seen as we’ve put someone in a grid. Therefore, we can now sort of stop doing anything or stop talking about. So when our outcome is to plonk someone in a particular grid square, that’s when we’ve probably missing the opportunity. There’s a lot of intellectual convenience in our understanding whether someone is a future leader, or an enigma, or a dilemma, or core employee. Or the other descriptions that we that we have about this. But it’s also an important part of how we segment people in our organizations, and we have talked about segmenting them into different groups of people. And some of them are we do have concepts of trusted professionals. You know, these are individuals who absolutely know what they want to do. They’re not our future leadership group, we need to understand what motivates them and drives them and how to manage them better. So having [inaudible 00:53:15] that as a concept is a perfectly valid one, you know, to have. Debbie mentions the issue around how do we get a sensible view on their potential because that can often inform the box they go into. I think what is always interesting for me and for us and we do quite a lot of work in succession planning, is the kind of the so what test. Once someone’s in a box and we’ve decided to put them in a box for whatever reason, what do we do with them now, you know? Are we developing them in line with their career aspirations that they’ve volunteered, and in line with their performance and potential? Or have we simply just done a calibration exercise so that we can provide a report that maybe isn’t really read or understood by senior managers? So the nine-box grid has a role. It’s been shortcutted, the role, to make it less relevant. But it’s a real opportunity to use it as a proper business tool, which is really how it came about in the first place. Cathryn: Okay. Thanks so much. Judith, hopefully that answers your question. We have time for just one more, I’m gonna take this one from Adam who says he’s experienced organizations where the annual appraisal is something of a box-ticking exercise, where the once-a-year conversation is dominated by performance with little priority given to development. How could such an organization assure themselves that ongoing and meaningful development conversations would actually take place if they replace the once a year review? Debbie: What a question. So I think, you know, we’ve all experienced organizations that are like this, where it’s become we need to do it, we have to do it at the end of the year. It coincides with the worst possible time of the year for many of us because it’s the end of the financial year, or the beginning of the new one. And you know, that approach as Ian said earlier on is clearly broken. So I think in terms of reassurance, if you can go back to those sorts of measures and outcomes that Ian was talking about earlier on, if you can see that through the year people are having regular conversations and check-ins with their manager, they are talking about their career, they’re talking about their development, they have got some personal development goals set, there is some traction and being seen with those and progress, they’re logging some updates, they are doing learning and they’re recording the outputs of that learning, I think all of that, if you’ve seen that throughout the year, that would provide you with some reassurance that the end of the year box-ticking exercises isn’t gonna be the be-all and end-all. So I think there’s something there about, you know, just giving it a go. Just having that sort of ongoing conversation, making sure that there’s a way of recording it and seeing progress as it happens, should go some way to doing that. But certainly, we’ve all worked with organizations where that is still very much the case. [inaudible 00:55:47] add to that, Ian. Ian: Yeah, I think there’s a real opportunity where you have a ratings-driven tick boxing exercise, to tear it up and say we’re going to take a developmental attitude to managing our people. It’s a brave decision to do but it shifts everything for almost everyone. Because now we’re talking solely about development and how it helps you improve your performance, and how it helps you improve your career opportunity and your mobility. So if the annual appraisal process is now considered not to be effective, then actually replacing it with a very developmentally oriented way of doing things is a really bold, brave, courageous, and valuable move. Now how do we know it’s happening? Well, again, if you’re doing it on paper and you’re asking people to write down their development activities on bits of paper, difficult to know if it’s happening without starting yet another survey or focus groups. If you’re using tools which help people record their development activity and get feedback from others and do all that kind of thing, such as the ones that we might happen to have, then, of course, you’re gonna see a lot of activity. You’ll see where the activity is happening around people setting development goals and actually engaging with their development activity. Which is the next part of it. It’s not just simply I need to learn something. It’s okay how am I demonstrating that I’m learning something and why am I learning this? Cathryn: Okay, thank you very much. That’s all we have time for on the questions. Hopefully, we’ve managed to answer most of them as best we can. There are a few we have left unanswered which I’ve captured. And I will ask the Head Light team to follow up with you by email after the broadcast. So just remains for me to thank everyone for attending today. Thank you, Ian and Debbie, for sharing your expertise with us. If you want to find out more about performance management from the Head Light team, they have some helpful links that they can share with you. They have a couple of eBooks available that you might be interested in. Similarly, if you want to find out more about Head Light software or CIPHR software, just check the survey option that will flash up on your screen as this broadcast ends, and somebody will get in touch with you so you can find out more. We hope to see you at another CIPHR webinar again soon. Goodbye. 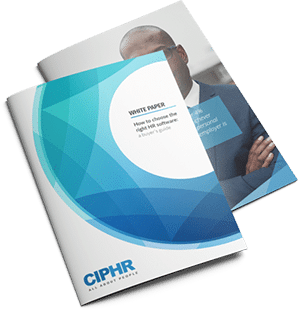 Ian Lee-Emery and Debbie Hance from Head Light join CIPHR’s Cathryn Newbery to explore why annual appraisals are no longer fit for purpose, and the factors your organisation needs to have in place to make continuous performance management a success.